Never get frustrated over which cord to unplug again! Spot the right one with these Writeable PVC Tags with 2 Holes. Write information on the blank vertical tag and seal the text with a clear laminate. 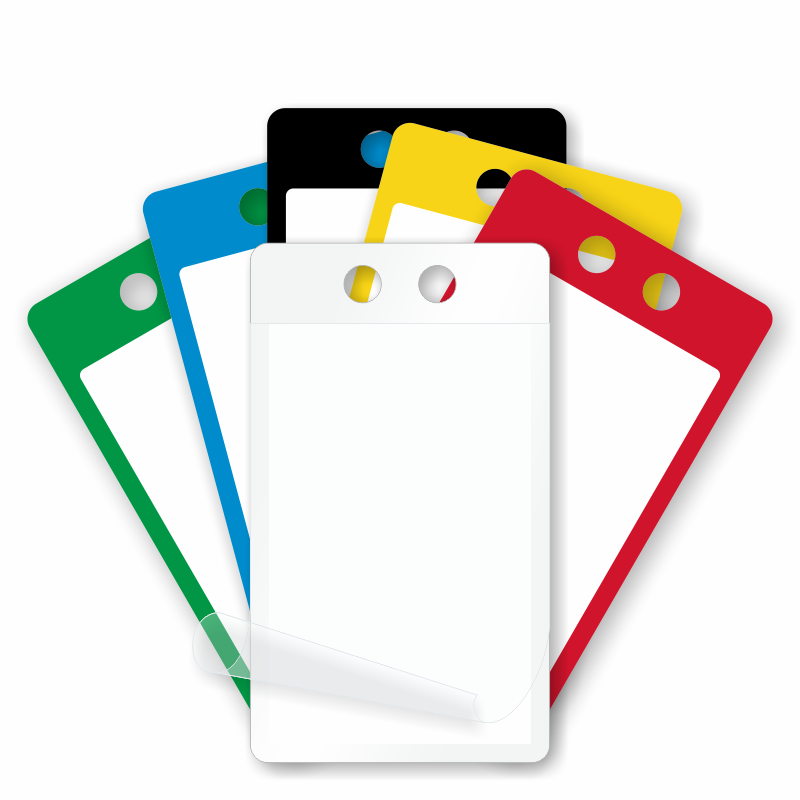 • 17 mil thick tags are available in 6 colors - White, black, yellow, red, blue, and green. Great for color-coding. • Two hole design makes it easy to position the 3.5" x 2" tag for the best reading angle. • Tag surface accepts pencils, pens or permanent markers. • Lamination is a clear polyester with an adhesive backing.